A Penny Black card – LOVE! Welcome back to my blog. With Valentine’s day in the vicinity, I have a pretty Valentine’s day card to share today. 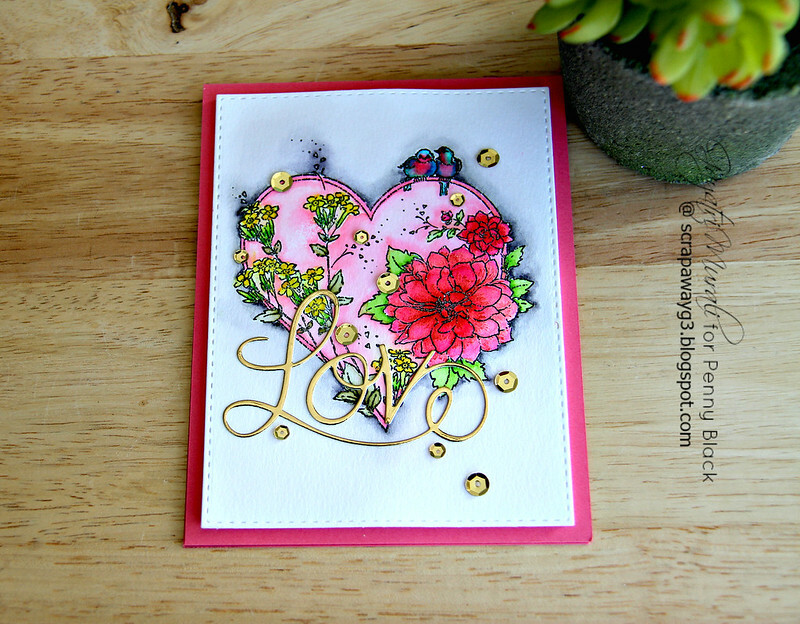 I have used Penny Black’s Valentine’s Day New Release stamp set and die to make this card. All Abloom stamp set from Penny Black is a pretty stamp set. LOVE the detailed pretty images in the stamp set. This beautiful heart image is my favourite of all in the set. So I decided to black heat emboss the image on watecolour card panel.Then used Zig Clean Brush watercolour pens to colour the image. Similarly used the grey watercolour pen to shade the outside of the image. Once dry, I used Wink of Stella shimmer pen to add shimmer to the flowers. I adhered the panel on a pink card base to coordinate with the big flowers on the image. For the sentiment I die cut True Love die using gold foiled cardstock and adhered on the card front. Finally embellished with gold 6mm and 4mm sequins from Pretty Pink Posh. I let the watercolour highlight the image with a touch of gold on the sentiment and sequins. 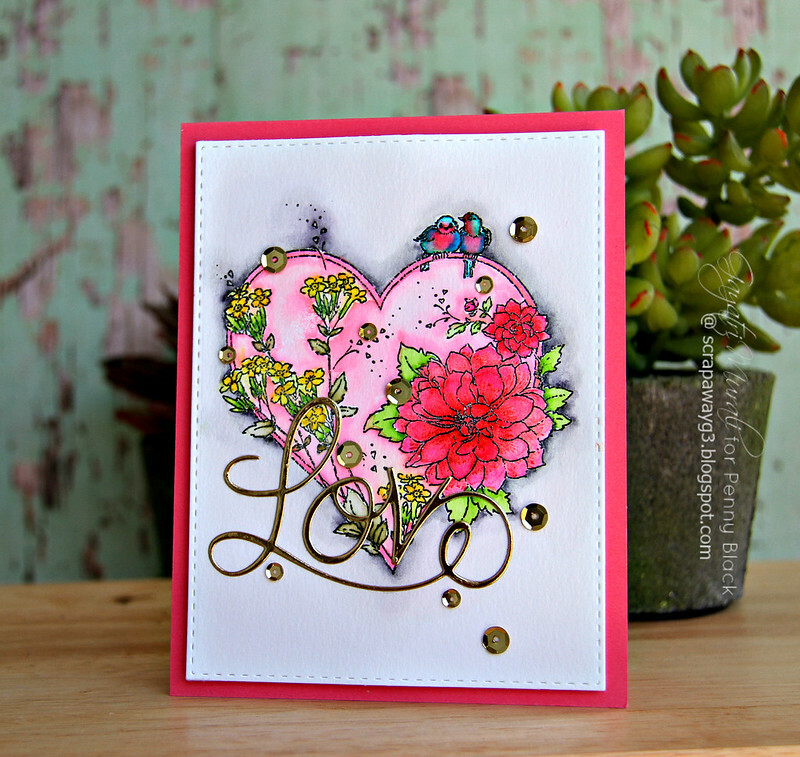 Here are the Penny Black stamp set called All Abloom and True Love die I have used on this card. All the new Valentine’s Day stamp set and dies are available for sale at Penny Black shop! Such Talent…Awesome… Thanks for sharing.. Loved this stamp set the moment I saw it. Now that I've seen what you've done with it, I love it more. So pretty!! Love your coloring!! I love how all your cards are so colorful and vibrant – they make my day!